A day of talks aiming to bring academics, the funeral industry and the general public together to share knowledge about funerals. What better way for us to kick off our contributions to Dying Matters Week and A Matter of Life and Death Festival! This preliminary programme for the day may be subject to minor changes, abstracts for the papers will be released by the end of April. Tickets: £40 (£30 for students). Tickets available now. Taster tour, lunch and refreshments are included, please notify us of any dietary requirements. 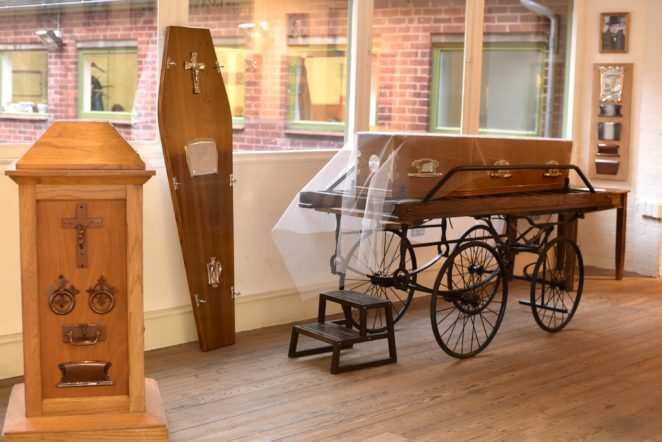 Please email Josie@coffinworks.org or Call 0121 233 4785 for more information. 15.30 What are we going to do with all the dead people? View full programme and abstracts here.